Every minute there are 500 new website created. More than 1 billion websites are online and increasing everyday. Your website is like a needle drop in the ocean, it has to be great enough to make it stand out. Social media and SEO should be able to help you get visitors to your website. Why should you have to pay for advertising in an age where not many pays for movies or music anymore? The business world is just unfair! Paid advertising is crucial to put your business over your competitors. Google ads are displaying above organic search rank result. Paying for ad to get more eyes on your business can put your company from obscurity to abundance. 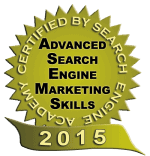 Google, Bing, Facebook, Twitter, LinkedIn, Gmail, YouTube and more! We will advise you the best platform for you industry to advertise. When you see the result, you can decide to increase your budget and expand to other ads platform. Account setup and organization. By knowing your budget, we will advise you the most suitable platform for your business to be seen in the most cost effective way. We plan and managed your ad campaign and organized by the best hierarchy to achieve the highest ROI. Conversion improvement. 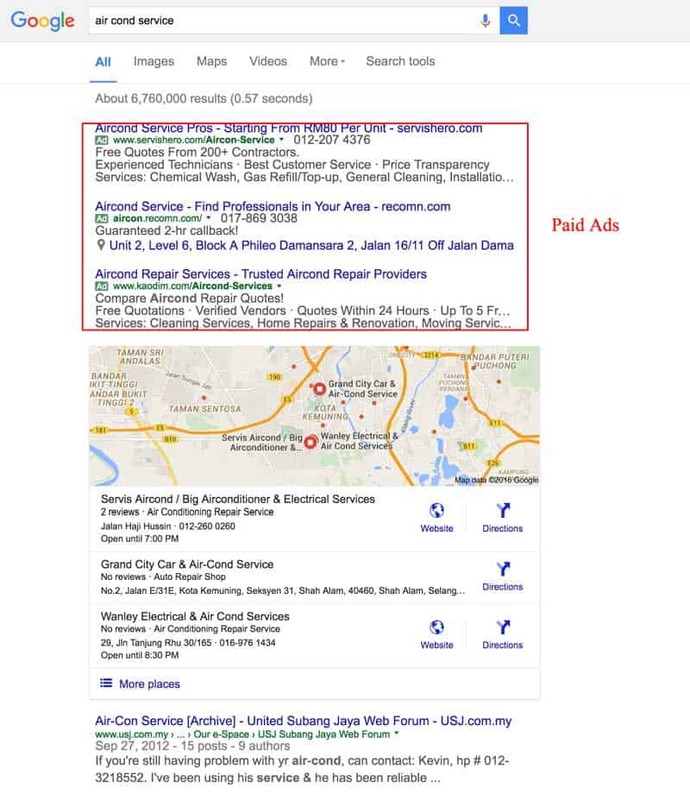 When your paid ad and your business website are both showing in organic search results, people are much more likely to receive click. Your overall website SEO and paid advertising works hand in hand and it improve the overall conversion. Keywords mining. Google will not disclose every search keywords in their Google Keyword Planner. By using Google Adwords, we’re able to discover new Keyword that can be targeted in ads and SEO. We manage and monitor regularly your ad campaigns to lower the cost per action and exclude ineffective keywords. Ad copy. We are experience in writing creative and compelling ads to make your ads stand out from the competition. Then we continue split test variation of ads to fine-tune what works best. Design and build landing pages. Landing pages are proven to be effective to direct the visitor to perform a certain action. A great ad is not enough without a persuasive landing page to lead them to take action. We design landing pages for your ad to improve the ads relevancy and having a clear call-to-action. We collect 30% based on your monthly ads budget and the additional services you require such as landing pages design. If that is not for you, we can provide our professional advise on your own running campaign, our hourly rate for consultation is $150. We’ll show you report on your ads conversion and leads generated from the campaign. You will notice the effectiveness and seeing new leads generated from these campaigns. No, we can’t guarantee results. Nobody can foresee when Google changes its search engine ranking algorithm, but we know Google hate black hat methodology. We only employ white hat methodology and we always keep ourselves up to date to Google announcements. Generally you will appreciate the more quality leads for your business. There is no commitment, but we advise you to work with us for minimum of 3 months. We are very confident that you will be satisfied with the result. We’ll send you a monthly report with keyword click through rate (CTR) and traffic report from Google Analytics. Our report will show you how much traffic your website received monthly compare to previous data, which are your top performing keywords, how many conversion or new leads you got through your website, and so on. We’ll also provide you the next month strategy and steps. We can start immediately once you sign the agreement, pay the service fee together with your ads budget, we’ll kick start and get into action.